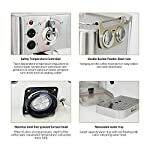 【SAFE TEMPERATURE CONTROLLER】- Two independent temperature regulators that control water temperature and steam temperature to ensure optimal water temperature when cooking coffee, thus achieving the most fantastic flavor, because either the water temperature is too or too high will affect the extraction of coffee. 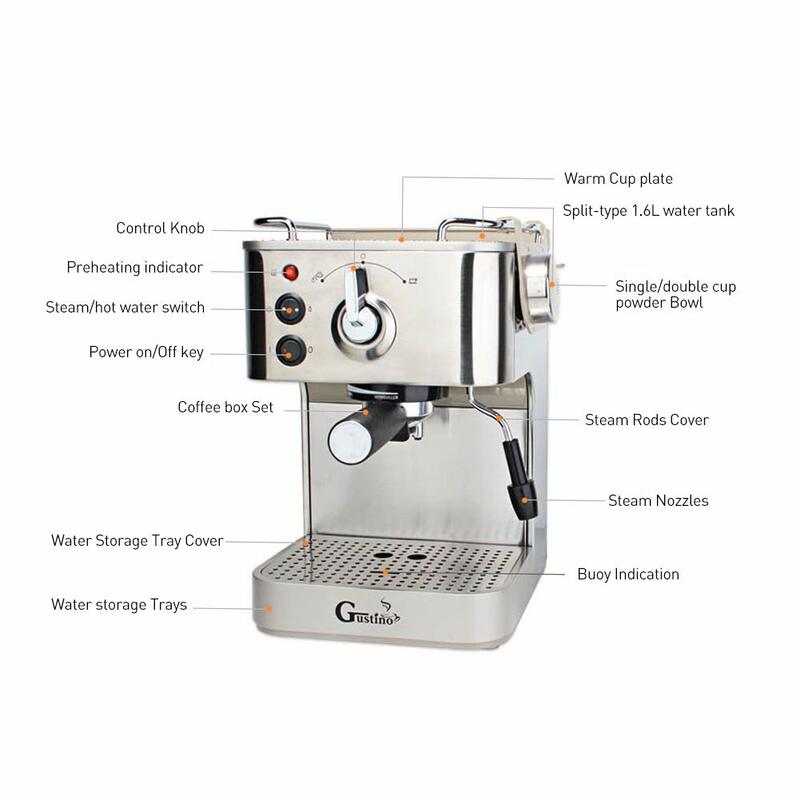 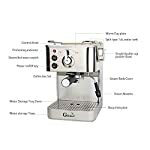 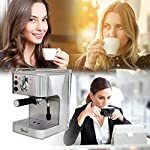 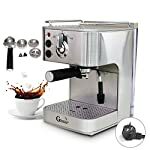 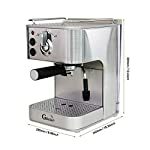 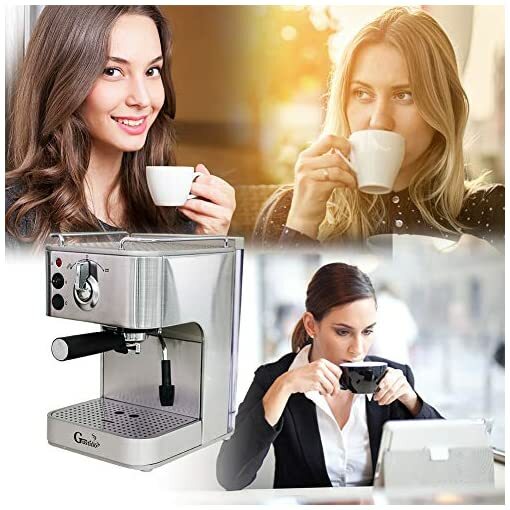 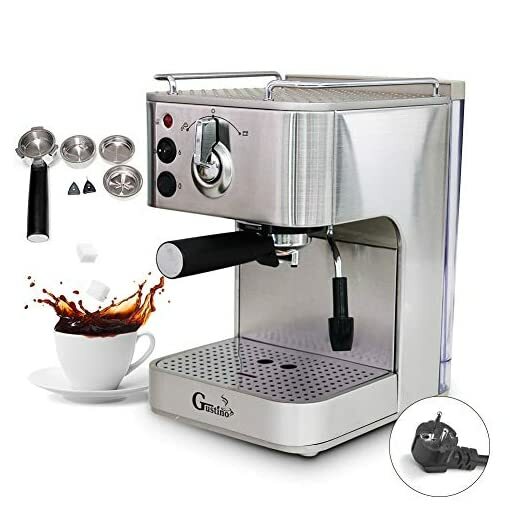 【CAPPUCCINOS MAKING】- This espresso machine can combine air, milk, and steam to make a fragrant milk foam, which can be used to make cappuccino and latte. You can choose from using ground coffee or Easy Serve Espresso (ESE) pods. 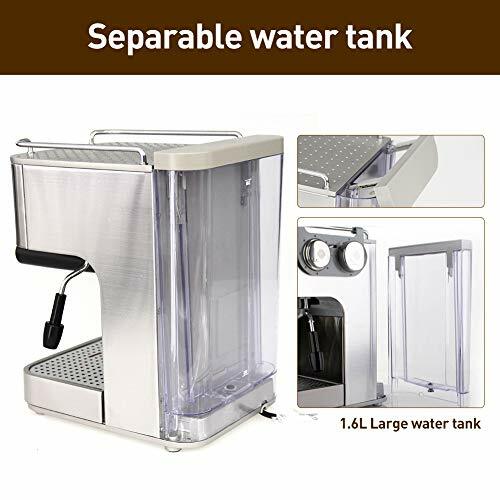 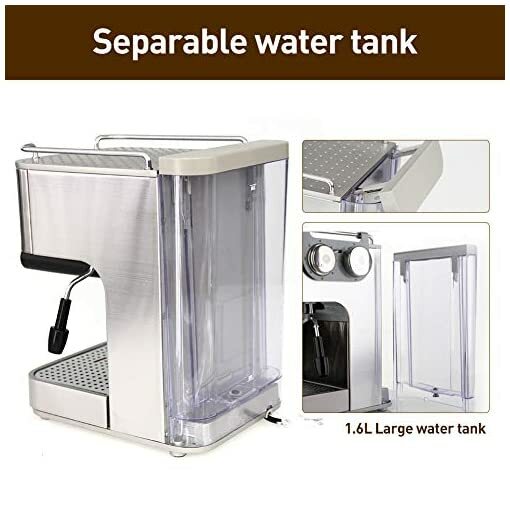 【ULTRA-FINE FILTER】- Coffee maker equipped with a ultra-fine stainless steel strainer, which combined with a stainless steel filter basin to create a pure natural fat coffee with better taste. 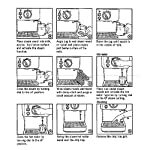 The semi-auto coffee machine will be delivered to your hand during 7-15 days. 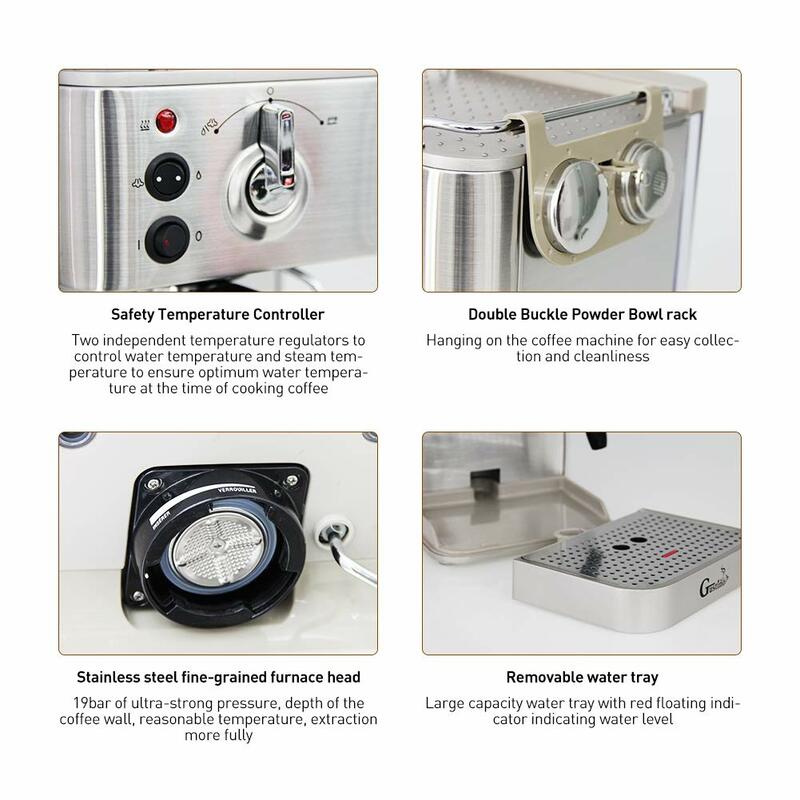 – Two independent thermostats to control water temperature and steam temperature, with overheat protection, safe and reliable. 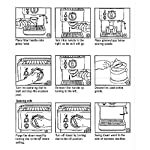 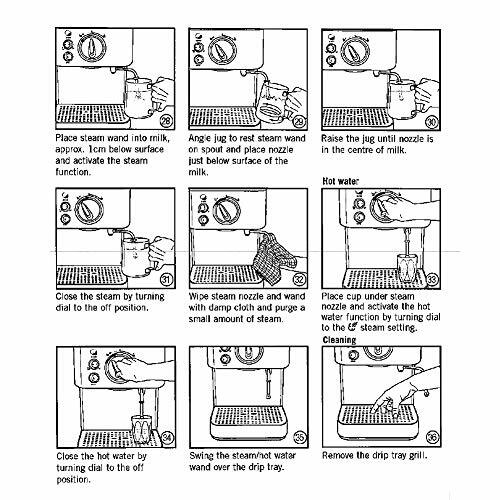 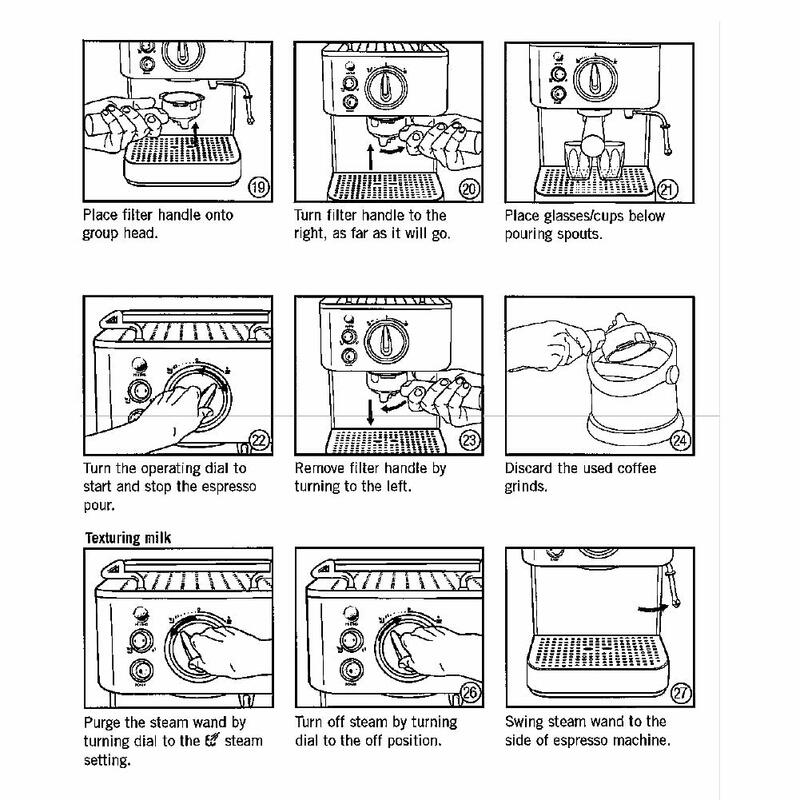 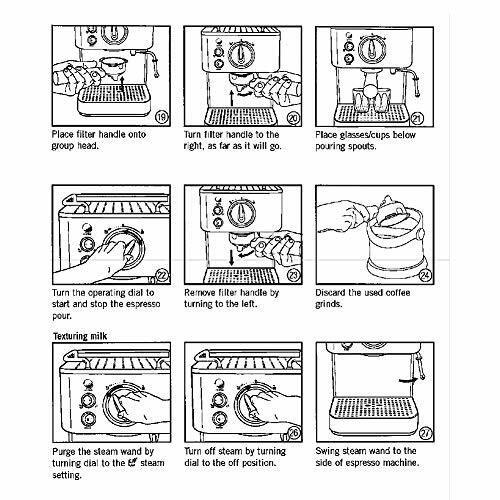 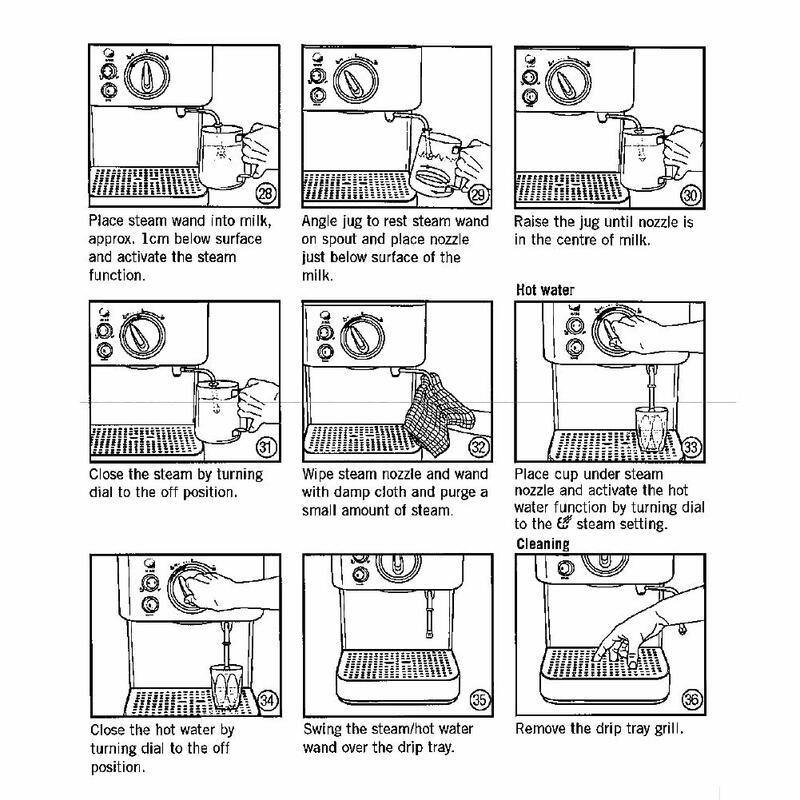 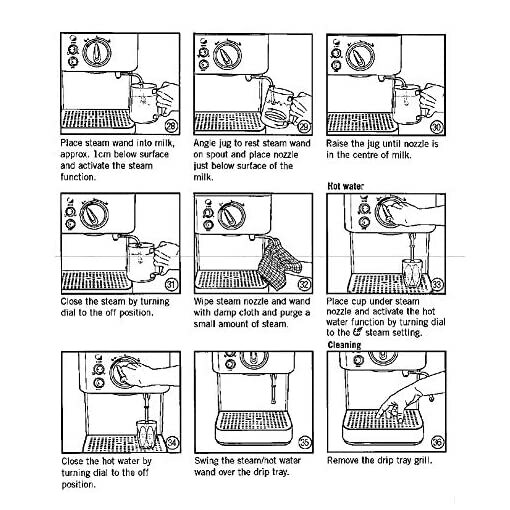 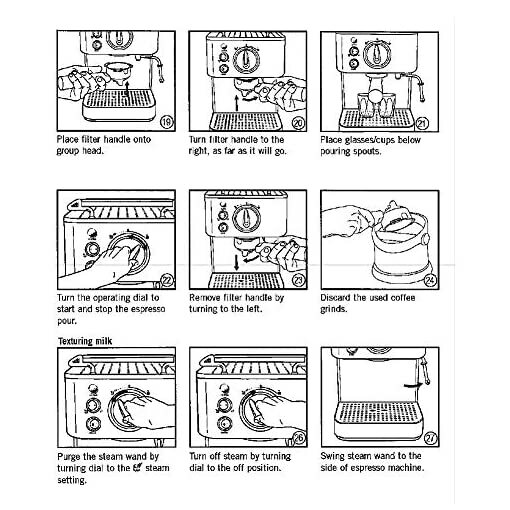 – When the coffee is still being extracted and ready to be finished, you can use the milk steamer to make foam at the same time (recommended 8°C whole milk), and it will not affect the temperature of the coffee you are making, which thanks to 2 Independent thermostat. 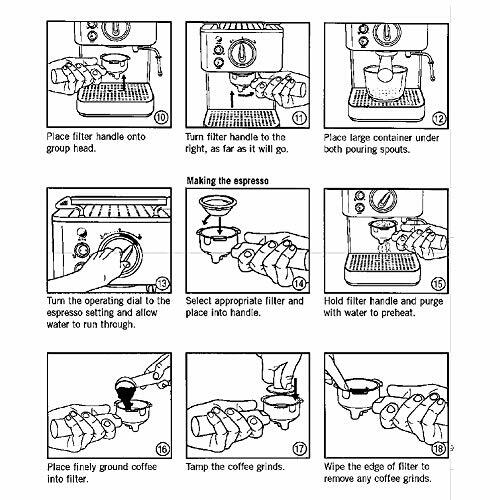 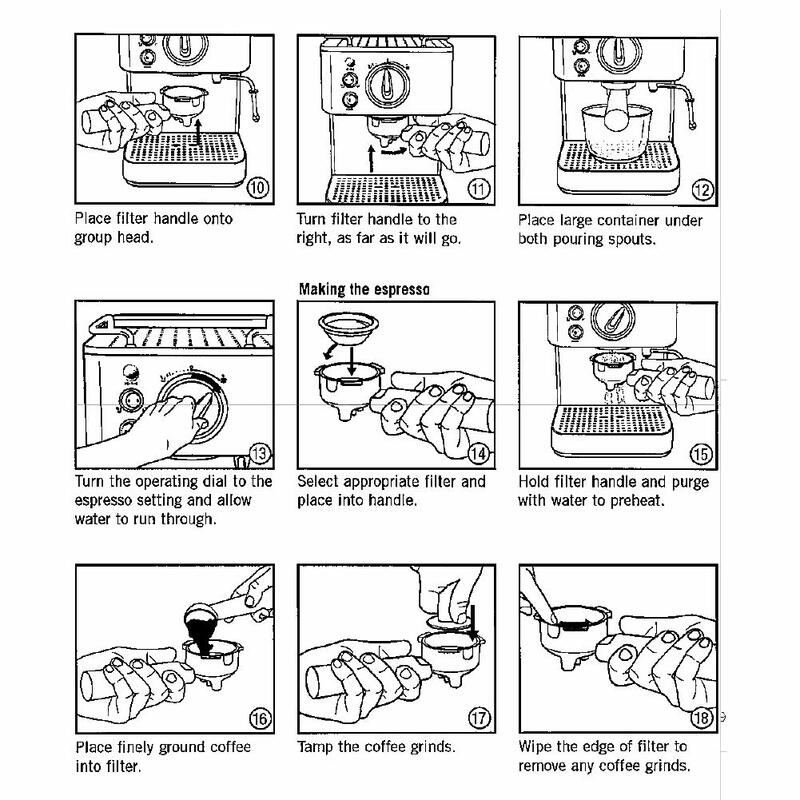 When the volume of coffee produced does not meet your requirements, please try it multiple times. 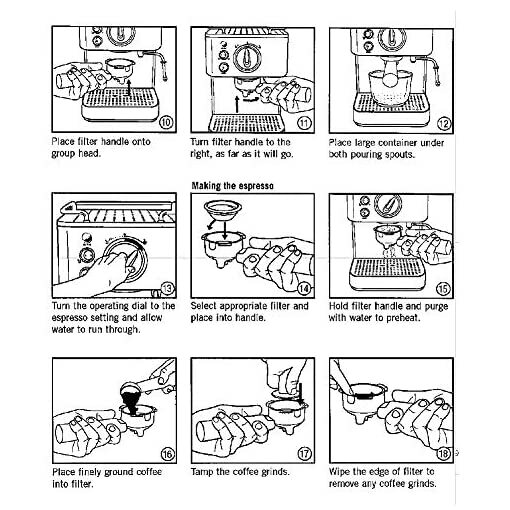 The volume of coffee is related to the weight, quality, and placement of the coffee powder. 【USER FRIEMDLY DESIGN】- Detachable and large-capacity water dish with a red suspension indicator indicating the water level, also a 1.6L detachable water tank which is made of PP food grade safety material, easy to clean, more safe to use. 【304 STAINLESS STEEL】- Coffee maker features a stainless steel body and the inner parts adopts food grade stainless steel material to assure you a durable and healthy use.